Dimensions 0.75 by 5.75 by 9 in. The Internet is often hyped as a means to enhanced consumer power: a hypercustomized media world where individuals exercise unprecedented control over what they see and do. That is the scenario media guru Nicholas Negroponte predicted in the 1990s, with his hypothetical online newspaper The Daily Meâand it is one we experience now in daily ways. But, as media expert Joseph Turow shows, the customized media environment we inhabit today reflects diminished consumer power. Not only ads and discounts but even news and entertainment are being customized by newly powerful media agencies on the basis of data we donât know they are collecting and individualized profiles we donât know we have. Little is known about this new industry: how is this data being collected and analyzed? And how are our profiles created and used? How do you know if you have been identified as a âtargetâ or âwasteâ or placed in one of the industryâs finer-grained marketing niches? Are you, for example, a Socially Liberal Organic Eater, a Diabetic Individual in the Household, or Single City Struggler? And, if so, how does that affect what you see and do online? 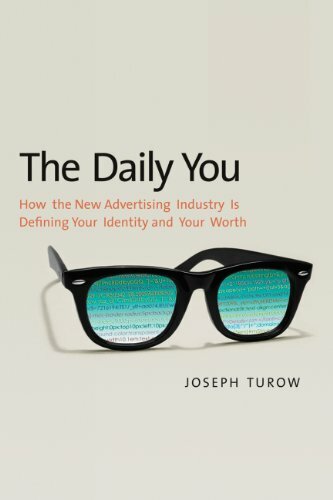 Drawing on groundbreaking research, including interviews with industry insiders, this important book shows how advertisers have come to wield such power over individuals and media outletsâand what can be done to stop it. About: The Internet is often hyped as a means to enhanced consumer power: a hypercustomized media world where individuals exercise unprecedented control over what they see and do.